In today's society, when appearance is so important, the professionals of Valerie's Barber and Beauty take hair loss seriously! 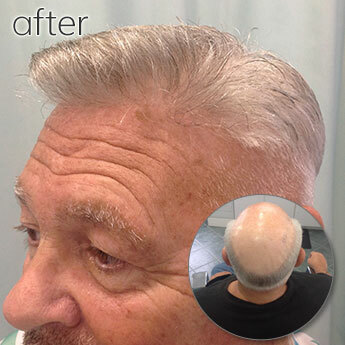 With our exclusive nonsurgical system of replacing hair, you cannot find a more natural hair restoration anywhere in the world. Our methods are recommended by physicians to men and women suffering from hair loss due to chemotherapy, illness, or accident. Our hair replacement services are also suggested to the many individuals who are losing hair from the natural effects of aging and genetics. 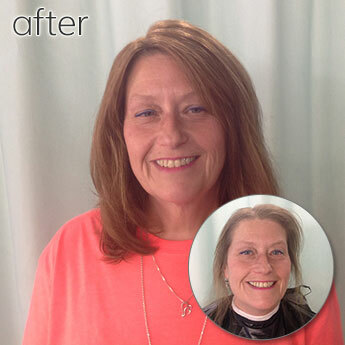 In addition to scalp treatments, Valerie's Barber and Beauty in Jackson, New Jersey, offers many styles of hair replacement. Synthetic and European hair is available — all of which can be custom designed in the latest styles and fitted especially for you. We also offer a selection of medical wigs and theatrical wigs at reasonable prices, as well as Sheitel wigs for the Jewish community. In addition, we will care for your present hair system by cleaning and styling it when needed. Remember: if it looks like a wig, it's not from Valerie's Barber and Beauty! While other hair replacement firms require money up front and a signed contract, Valerie's Barber and Beauty does not have any requirements. We also offer a very private location, and all hair replacement services are done on the upstairs level of the salon for the most privacy. We promise professional service and a natural style suited to your individual needs. "Absolutely amazing, talented, and professional hair cutters. They also create a very friendly atmosphere. When I left I was not only totally amazed with how my hair looked, but also felt like i knew them forever. 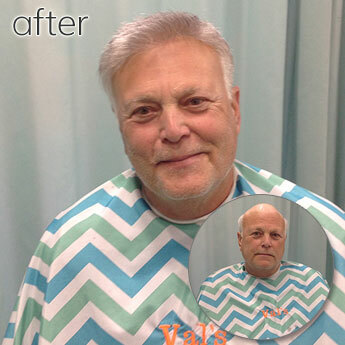 If hair cutting was a sport, they would win MOST VALUABLE PLAYERS every time"
"I am so happy to have found Valerie's. With being a hair club member for a long time and paying their high prices, I am so relieved now that I'm at Valerie's. Reasonable prices and fantastic service. My hair has never looked this good! It is a nice, relaxing atmosphere and the girls that work with her are great! My only complaint is that I didn't find them sooner!" "The atmosphere at Valerie's is so friendly and bright. The staff treats you like family. There has not been a time that i left without professional results. After going to hair club for years where i was ripped off, and felt like just a number I could never imagine going anywhere better than Valerie's. My hair has never looked so natural!" "Couldn't be happier with Val's hair! Not only do they do amazing work, but they make you feel like you're hanging out with friends!!"